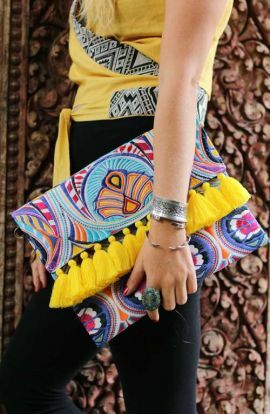 A oversized clutch bag handmade with beautiful embroidered textile and sunshine yellow tassels, this fringe clutch is the perfect festival clutch. 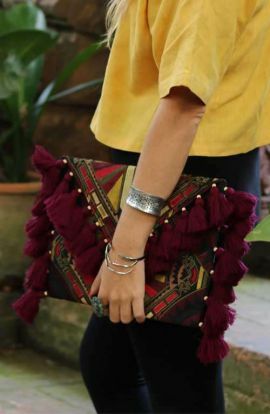 Height: 10" Length: 13"
A boho chic oversized clutch bag handmade with embroidered textile and maroon tassels in Thailand. 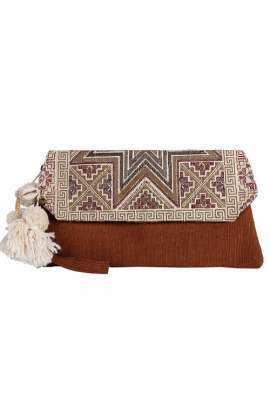 Height: 10" Length: 13"
Adorable boho clutch bag handmade in Thailand. 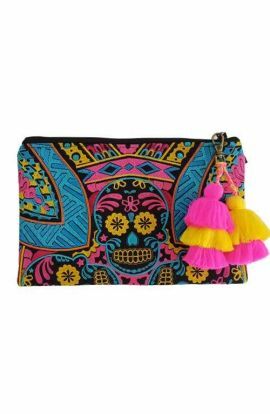 This beautiful clutch purse with pom poms is the perfect embroidered purse that is perfect for parties. 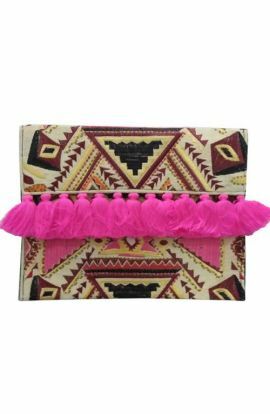 Length - 12" Height - 6"
A boho oversized clutch bag handmade with beautiful embroidered textile and hot pink tassels, this pink boho bag is the perfect festival bag. 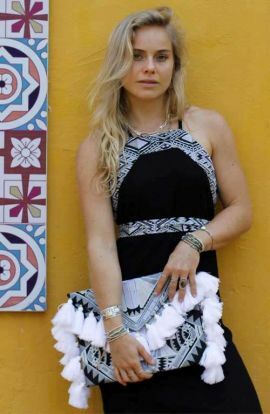 Height: 10" Length: 13"
Coming from our Lioness collection this boho chic oversized clutch bag handmade with embroidered textile and white tassels in Thailand. 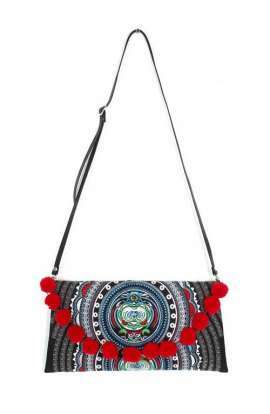 Height: 10" Length: 13"
A bohemian style large clutch bag handmade with embroidered textile in Thailand. 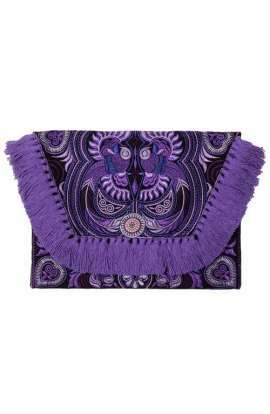 This fringe purse is the perfect clutch purse for all festive occasions. 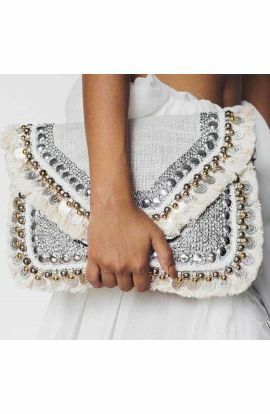 Length - 10.5"Height - 8"
This one of a kind oversized vintage clutch is handmade in India, it has coin and chain mail detailing. PLEASE NOTE : THIS BAG SHIPS FROM INDIA, NOT THAILAND. IF YOU HAVE ORDERED MULTIPLE PRODUCTS WITH THIS ITEM, YOU WILL RECEIVE MULTIPLE SHIPMENTS. 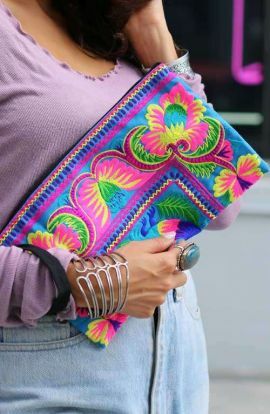 A boho chic style oversized clutch purse handmade with embroidered textile. 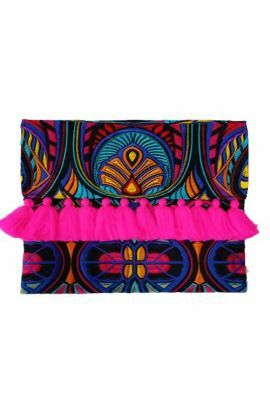 This boho bag is the perfect clutch bag for all festive occasions Height: 10"Length: 13"
A women's bohemian purse handmade in Thailand, this floral pink boho clutch is handmade with love. 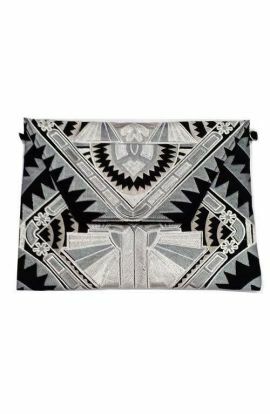 Length - 11"Height - 6"
A boho chic clutch bag handmade with embroidered textile and black tassels in Thailand. Approx Dimensions: Height: 10" Length: 13"
This is a beige white boho festival bag with coin work and jute textile sourced from the artisans of India. PLEASE NOTE: This item ships from India (not Thailand). If you have ordered multiple products with this item, you will receive two separate shipments. Beautifully rustic star clutch with natural jute fabric handmade in Thailand. 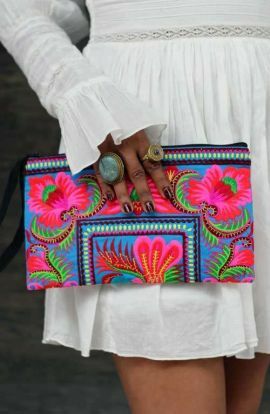 Dimensions:Approx Length: 29"Approx Height: 15"
An oversized clutch bag handmade with beautiful embroidered textile. 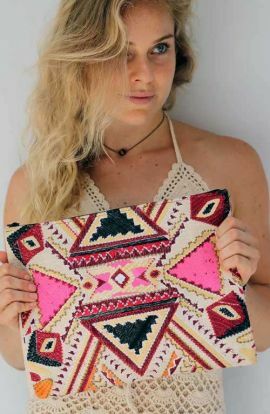 This bohemian embroidered clutch purse is the perfect clutch purse for festive occasions Height: 10" Length: 13"
Gorgeous Hill Tribe embroidered pattern boho clutch bag with red pom poms handmade in Thailand. 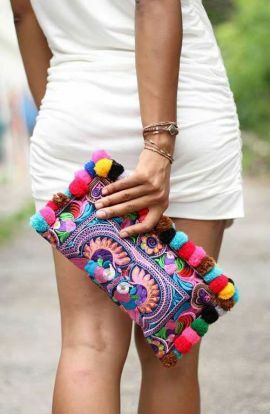 This embroidered purse is a unique clutch purse great for all festive occasions. Length - 13"Height - 7"Removable Leather Strap - 41"
A oversized clutch bag for all those lioness's out there. 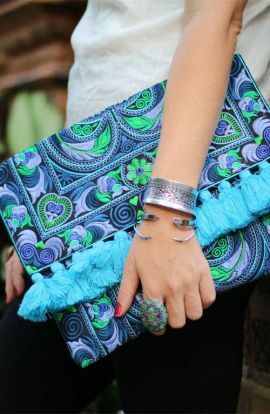 Our handmade purse features beautiful embroidered textile with light blue tassels. 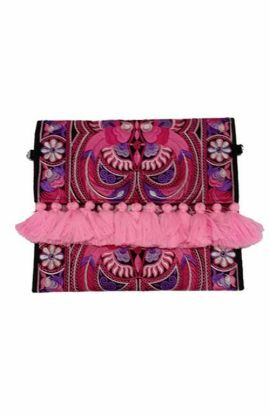 This fringe clutch is the perfect festival clutch. Height: 10" Length: 13"